Take a look at this fantastic offer. 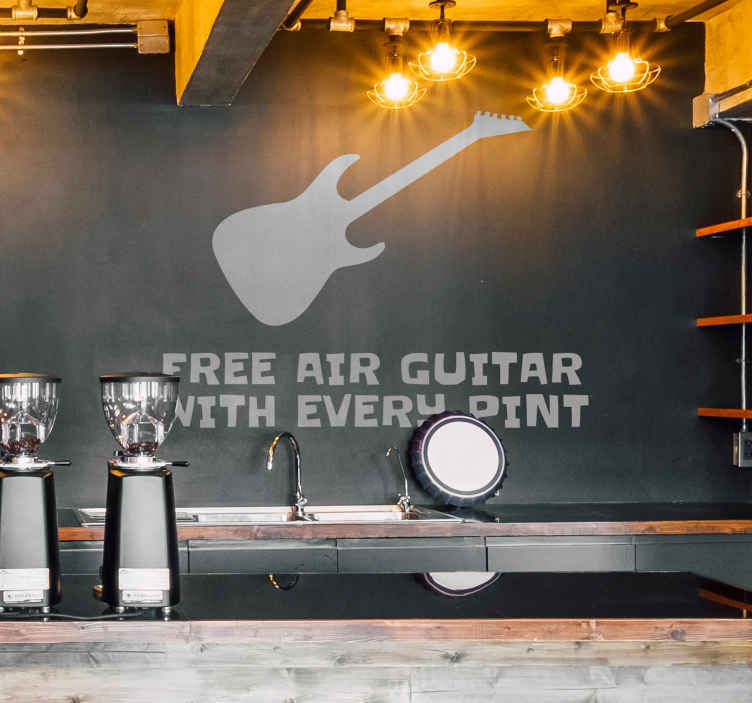 With every pint you drink, you can collect a free air guitar. Use this sticker to attract customers to your pub/bar/restaurant. When customers see this promotional sticker, there'll be air guitars everywhere. This wall sticker doesn't necessarily have to be for a bar or restaurant. If you regularly host parties in your home, this could be a great decoration for your living room or bedroom. This sticker is available in a variety of sizes and colours.